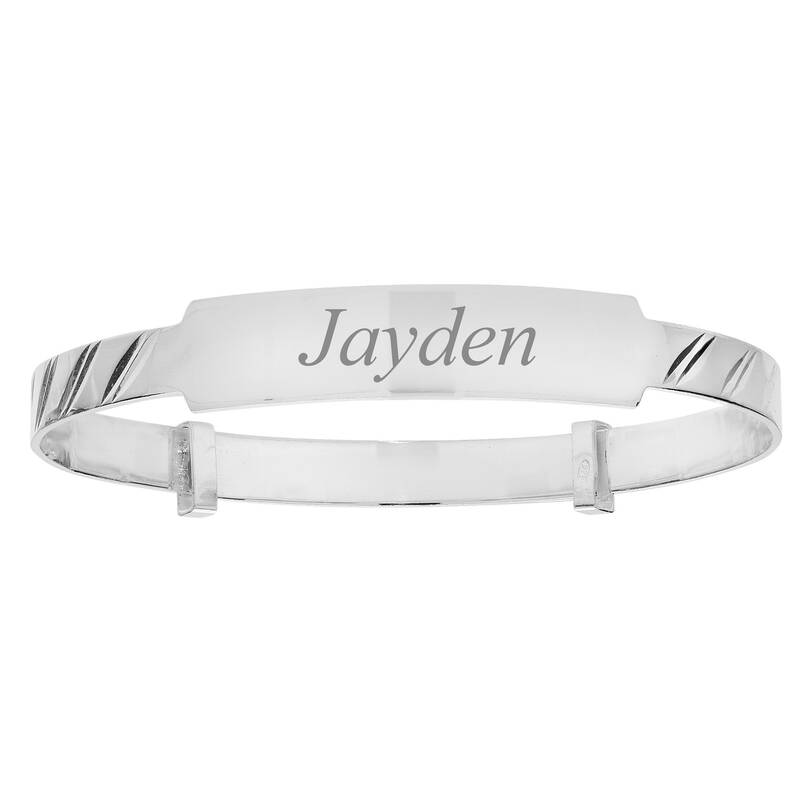 925 sterling silver baby bangle identity plate bangle with diamond cut pattern. The bangle expands from 4cm to 4.5cm internal diameter, and should fit a baby from 6-18 months. Average silver weight 4.3g. Band width 4mm. Pattern designs may vary. 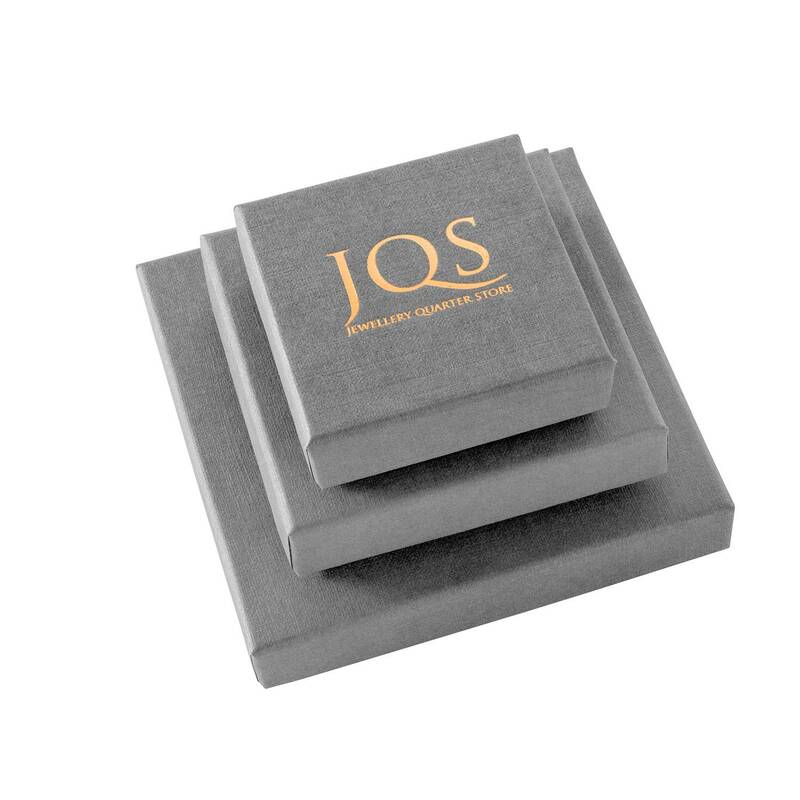 ID Plate - up to 12 characters (including spaces) can be engraved on the outside - name, initials or date. 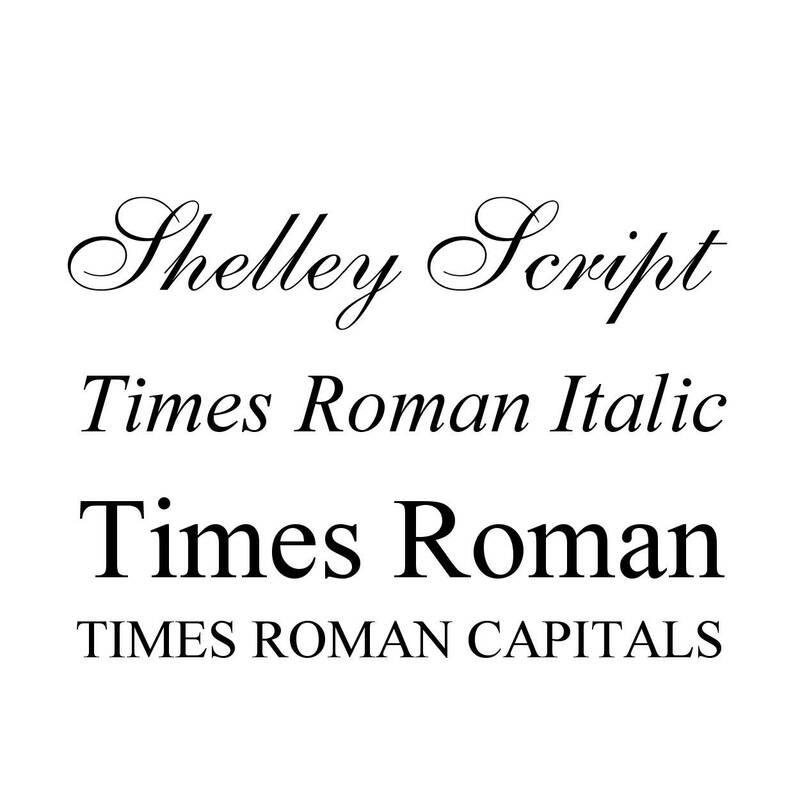 Fonts - Shelley Script, Times Roman Italic or Times Roman.